A belief in what is possible. FWSU will maximize flexible learning environments by redefining the school day, promoting learning experiences that extend beyond the classroom, and fostering creativity, innovation and differentiated opportunities for all. Fletcher Elementary is excited to announce the formal organization of a new school-wide choral group. The group will provide students who enjoy singing an opportunity to express themselves through their voices and interact with peers from other classes. This enrichment idea emerged last June as faculty considered how they might “flex” their schedules and extend learning experiences beyond the classroom. Mrs. Maynard uses Solfege as a pedagogical technique to teach children sight-singing. Each note of the musical score is sung to a special syllable. 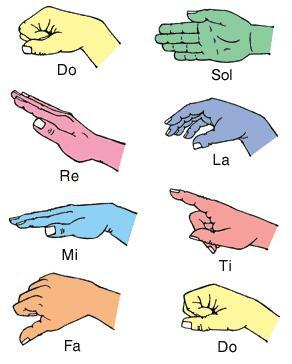 The seven syllables commonly used for this practice are do, re, mi, fa, sol, la, and ti. Solfege is a great system for ear training and developing a young singer’s relative pitch. Our students are eager to learn and will enjoy this new musical experience! This entry was posted in Uncategorized and tagged Flexible Learning Environment, Student-Centered Learning by Franklin West SU. Bookmark the permalink. School District in Fairfax, Fletcher, Georgia, VT. Apple Distinguished Program. League of Innovative Schools. "A belief in what is possible." Thanks to all of the Fletcher Teachers, students, and Principal Cerro for helping make our chorus a reality!